What’s your favourite pre-yoga class nutrition? 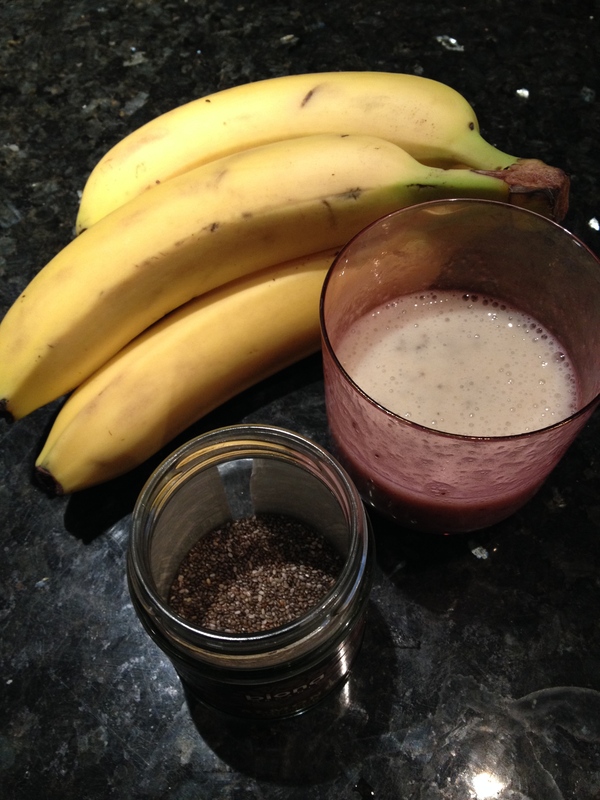 Mine is this gorgeous banana and chia seed smoothie: drink up to 1hr before & it keeps you full, hydrated, and ready for class! Ideally you want to have an empty stomach for Yoga class, so it’s advised to leave a 3 hour gap after your meal before class. I drink this up to an hour before class starts, or straight after to boost my energy and keep me feeling light but energised. It’s supremely delicious and very easy! Just whizz up a banana with water in the blender, then transfer to your glass and whisk in a spoonful of omega-3-rich Chia seeds. What are your favourite pre/post Yoga-class snacks?? Previous What is Living Beyond The Mat? A raw, cold pressed date and nut bar. Small in terms of quantity but leaves me full. I find very early morning practice a challenge. It’s too early for me to eat but without food long inversions leave me feel dizzy…. I think what to eat and how to time it with the yoga practice is a huge issue for many people! I love the sound of that bar – my favourite are “bounce” snack balls, especially the Spirulina ones, but I count these are treats as they can get quite pricey if you eat one a day! Lemon water is also a lovely supplement to have in class (just add 1/2 a freshly squeezed lemon to your water bottle) and good for your stomach as it turns alkaline in our digestive system and helps us cleanse more effectively. I use this occasionally on days where I feel I might need a bit of oomph..! Welcome to my blog in which I share the ups and downs, trials and tribulations and many lessons learned along the wobbly road of my yogic path. Give The Yogi Gift This Xmas: Make Vegan Chocolate! What's your favourite pre-yoga class nutrition? I gave up coffee... HELP!! !